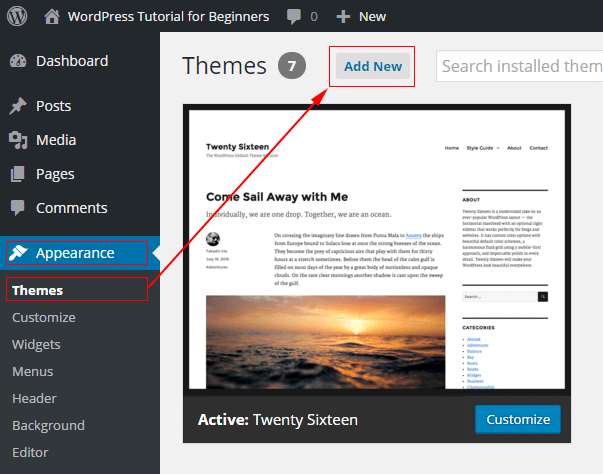 You are here: Home / WordPress Tutorial For Beginners / How do I change the look or design of my WordPress website? At the top of the page look for a button that says Add New. 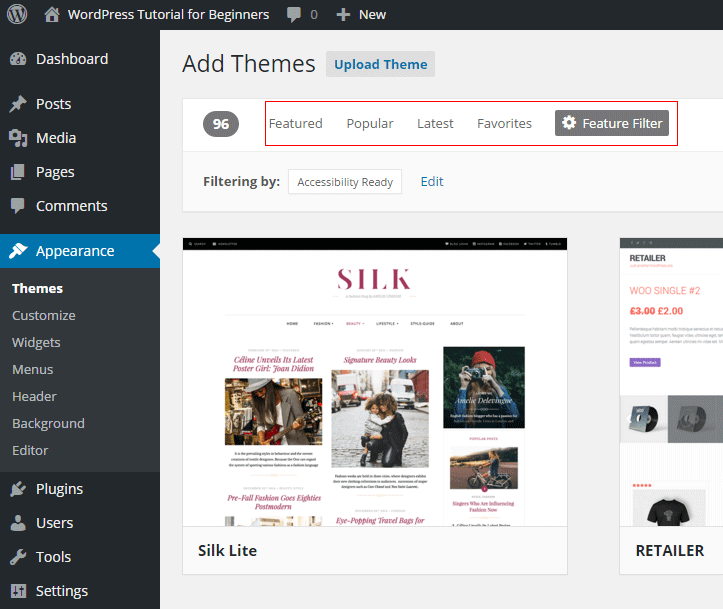 When you click the Add New button you see a grid of themes that WordPress have tested and recommend. Use the buttons in the top navigation bar to filter the themes. 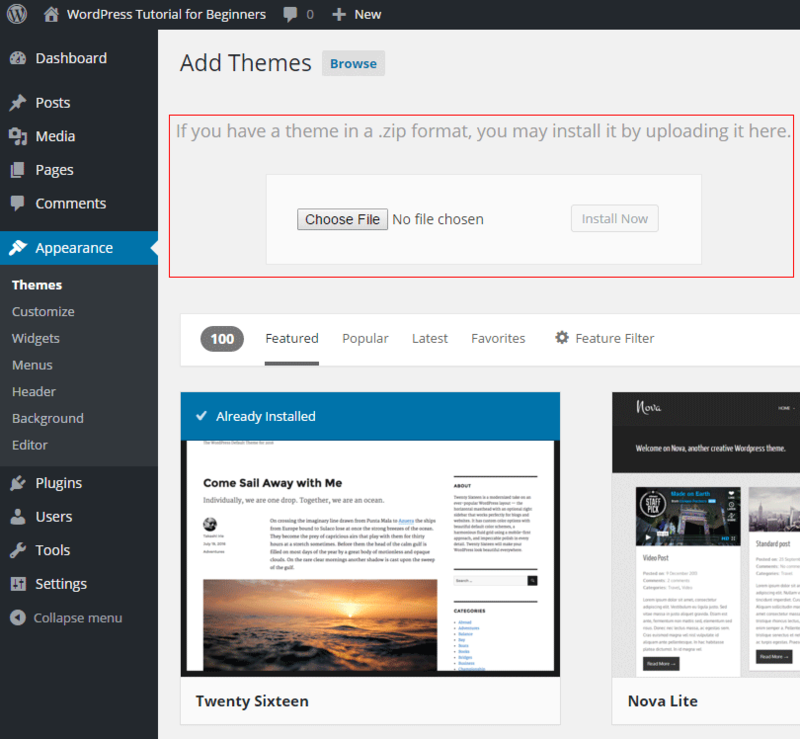 You can view the most recent themes to become available or the most popular themes etc. When you find a theme you like, press the theme’s preview button to see a large preview of that theme. Click the install button to install a new theme. You can also upload a theme that you have bought from a design shop like StudioPress. I want to explain this in really simple terms, so I’ll compare WordPress to a smartphone. A smartphone is made from two parts. The complicated electronic stuff inside. The plastic cover that you can swap if you want to change the look of your phone. WordPress is made from two parts. This CMS helps you build and organise all of your pages and posts into a website. Your site visitors don’t see all of this complicated stuff. A theme or web design. The design controls how your content is displayed. Such as your website’s background colours and how big the text is etc. You can unclip the plain white cover of your smartphone and replace it with a cover that has a fancy pattern or is brightly coloured. All of the stuff inside your phone remains untouched. It’s just the cover or shell that changes appearance. The look of your site depends upon the design or theme you choose to install. To change the look or design of your WordPress website you just install a different theme or web design. All of your content remains the same. But the background colours, font sizes, and page layout design can be radically different. 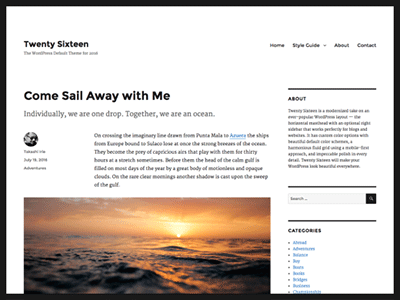 If your current site has content in the WordPress sidebars or footer widget areas you will have to reconfigure these widgets in your new theme. If your old theme uses just two or three widgets in the sidebar or footer you can easily re add these to your new theme. But some themes can have 10, 20 or even 30 widget areas. These fancy themes can take quite a long time to set up. Previous Post: « How do I make Google friendly web page links?